Karim Kharbouch, to the public known by his stage name of French Montana, is a famous American rap artist, as well as a businessman. 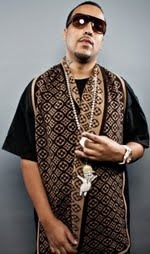 French Montana rose to prominence in 2012, when he released a mixtape entitled “Mac & Cheese 3”, which included guest appearances from such rappers as Fat Joe, Wale, Sean Combs, Trina, Ace Hood and many others. Following the release of the mixtape, in 2013 Montana came out with his first studio album entitled “Excuse My French”, which was distributed by “Interscope Records”. Upon its release, the album peaked at #4 on the Billboard 200 music chart, and managed to sell more than 56,000 copies during its debut week. So far, “Excuse My French” has succeeded in selling over 94,000 copies in the United States. In addition to that, the album produced three singles, namely “Pop That”, “Freaks” and “Ain’t Worried About Nothin’”. Such artists as Drake, Snoop Dogg, Scarface, Rick Ross, Ne-Yo and 2 Chainz made guest appearances on the album. As a rapper, French Montana has released one studio album, 20 mixtapes, four singles, and made guest appearances in 32 music works. A famous rap artist, how rich is French Montana? According to sources, in 2013, he earned as much as $1.14 million from the sales of “Excuse My French” album, while in 2014 his earnings per live show every night amounted to $30,000. In regards to his overall wealth, French Montana’s net worth is estimated to be $8 million, most of which he has accumulated due to his rapping career. French Montana was born in 1984 in Morocco, where he spent most of his childhood in the city of Casablanca. When he was 13 years old, his family migrated to live in New York, where he attended public schools. Inspired by such artists as Tupac Shakur, 50 Cent and Nas, Montana decided to focus on becoming a rapper, as a result of which he started working on a series of mixtapes entitled “Cocaine City”. In order to gain more publicity and fan attention, Montana included various interviews from popular rappers in the mixtapes, which soon became popular underground. Montana’s first serious project was a mixtape called “French Revolution Vol. 1”, which came out in 2007. A year later, he released “Live from Africa”, which was enough to capture the attention of a fellow hip hop artist and record producer Akon, who signed him to his “Konvict Muzik” record label. However, Montana left the label in 2011, and joined “Bad Boy Records” and “Interscope Records” instead. Two years later, in 2013 French Montana released his first studio album under the name of “Excuse My French”. Currently, Montana is working on his second studio work, which will be entitled “Mac & Cheese 4”. Aside from being a rapper, French Montana is also known as the founder of a record label “Cocaine City Records”, where he also serves as its CEO. In regards to his personal life, French Montana was married to Deen Kharbouch, with whom he had a son. When their marriage fell apart, Montana began dating Trina, but the relationship was short-lived. Currently, Montana is in a relationship with Khloe Kardashian.